Areas of irregular figures can be determined by dividing the figure into squares and rectangles. Some irregular figures are made of rectangular or square regions. 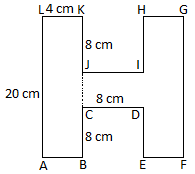 The areas of such irregular figures can be determined by calculating the areas of these rectangles and squares. Area of the given figure = 5 sq. cm. 2. 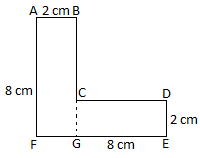 Find the area of the following figure. 3. 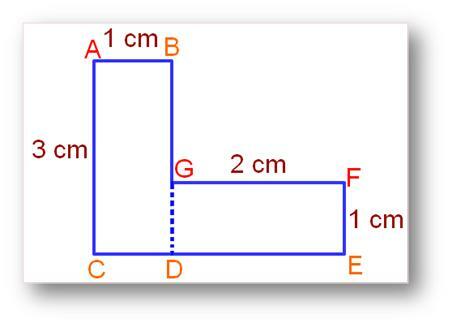 Find the area of the figure given on the right side.